Are you among the hundreds of millions in the world who suffer with symptoms related to asthma? According to the AAAAI, more than 300 million around the globe have asthma. That means one in every 12, and more than half have severe symptoms or even asthma attacks each year. Around one in ten children has asthma, and three out of every five struggle with asthma attacks. Just those few facts alone, make it essential that you find the best air purifier for allergies and asthma. 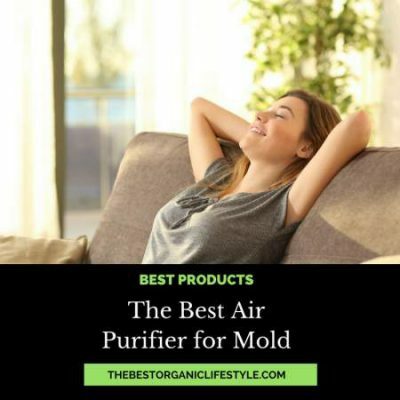 In this article, we are going to narrow down the many options to a single, best air purifier for allergies and asthma. 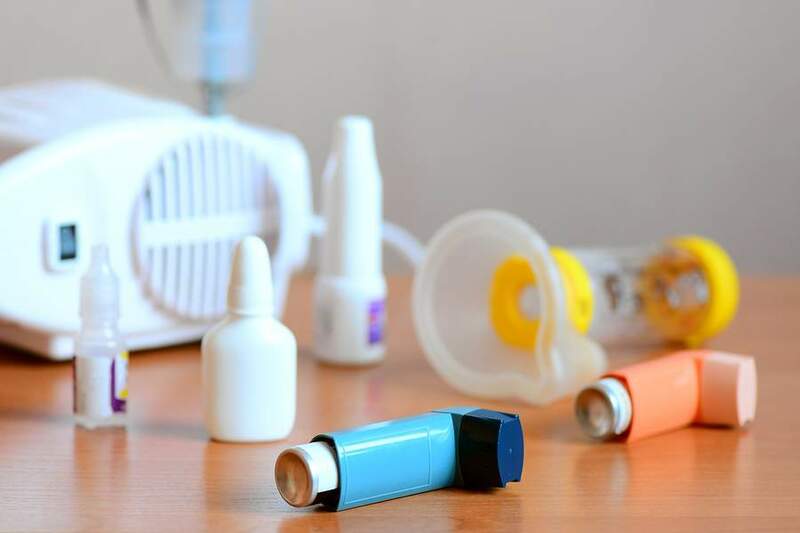 First, we'll explore how a filter can help to reduce symptoms and then look at the features in our most recommended model to discover why it is best for those with allergies or asthma. Though we might suffer from asthma or allergies and avoid heading outdoors because we are so sure that it is the place full of irritants and allergens, we can be way off the mark. In fact, the EPA tells us that the air quality inside the average home is usually between two and five times WORSE than outdoor air. Why? There are a few reasons. One of them is "source pollution" such as furnishings or carpeting that puts off toxins such as formaldehyde in a mattress or asbestos in the walls or wrapping pipes. However, there are also things like gas stoves emitting small amounts of toxic gas, too. However, there are also living organisms such as mold or pests that cause respiratory issues and allergic reactions. As the EPA explains, "Some pollutants cause health problems such as sore eyes, burning in the nose and throat, headaches, or fatigue. Other pollutants cause or worsen allergies, respiratory illnesses (such as asthma), heart disease, cancer and other serious long-term conditions. Sometimes individual pollutants at high concentrations, such as carbon monoxide, cause death." That means that a primary or first step in helping improve indoor air quality is to consider how (or if) you can remove sources of pollution or emissions. Naturally, there are many sources that cannot be removed, and so it becomes the job of the individual to figure out ways of reducing those irritants or allergens. Experts all agree that bringing fresh air into the home is often a great way to improve indoor air quality. Yet, cold and wet seasons can make it impossible to use doors and windows to improve the air. That leaves it as a job for an air purifier. While there are some that can be installed in the home or its ductwork, most experts recommend free-standing units that can vastly improve individual rooms and be kept in top condition with regular filter cleaning or changing. Before we start to look at the best purifier for allergies and asthma, though, let's look specifically at what you need your purifier to handle - whether for asthma, allergies or both. The best air purifier for both asthma and allergies is going to eliminate as much of both groups as possible. There are "mechanical" air filters that actually capture materials on filters, but there are also electronic filters or HEPA (high efficiency particular air) filters that use electrostatic charges to attract and then capture particles. As you might guess, it is HEPA that we'll consider as it can also capture particles in a much wider range of sizes and types. What you do NOT want to use is one of the "ionic" purifiers. These generate ozone and send ions into the air. Though this neutralizes most of the materials in the air, it can also be a major trigger for an asthma attack. Instead, we are going to look at the best rated HEPA filter, most often recommended by people with allergies and asthma. There are a lot of different air purifiers on the market, and many are not truly HEPA purifiers. Some are also fixed or wall-mounted to offer maximum coverage. Our recommendation is a more cost-effective one and is easy to transport from room to room. This enables whatever room you are in to have the best air in the home. Because it is an affordable model, you can also buy individual units for each room. 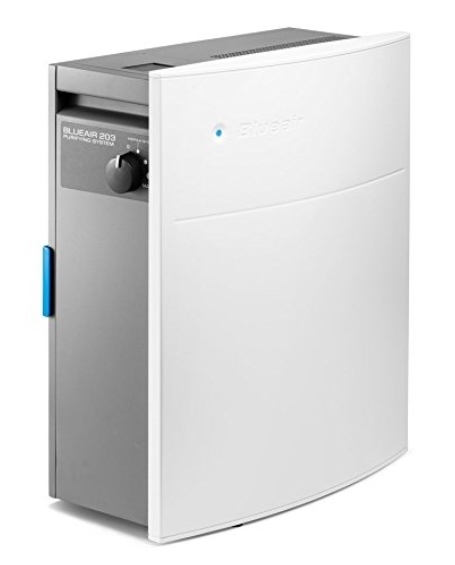 We recommend the Blueair Classic 203 for its sleek design and small size. It can improve the air quality in rooms of up to 240 square feet (12'x20'), making it well suited to almost any modern room and home. It has one of the largest filter surfaces and yet it also runs silently thanks to its patented HEPASilent tech that removes almost all airborne pollutants using a unique blend of electrostatic and mechanical filtration. Inside is a filter and encapsulated particle charging chamber that creates some of the most authentically clean air imaginable. You can adjust it from a maximum level to the silent level and get consistently cleaned air. With it, your home can be free of roughly 99.97% of airborne pollutants. It is Energy Star rated, and cleans around 155 cubic feet per minute. That means your 240 square foot room has its air changed around five times per hour! Ideal for anyone with allergies and/or asthma, it reduces ozone, captures some of the most harmful materials and triggers for asthma sufferers and is so quiet it can be used in a baby's room. On the lowest setting, you can barely hear it. Comes with a separate digital timer that you can place anywhere. The unit is made of steel, so no off-gassing from plastic. Super easy to set up - plug it in, turn the dial. that's it. Noticeably reduces dust and indoor air pollution. Blueair costumer service is happy to help you with any issues you may have with their air purifiers. Comes with a 1 year warranty, which can be extended to 5 year with product registration. Replacement filters are somewhat costly (about $100 a year). The blue light on the unit is very bright and may interfere with the darkness of your bedroom. A little loud when on high setting - similar sound to a microwave running. Some people have problems setting up the wifi app. Why not start the new year with cleaner air throughout your home or office? If you are ready to do so, the Blueair 203 is the ideal choice. Please leave any questions you may have in the comments below, we love to help! My name is Andrea. I am a natural product junkie who wants to change the world with my dollar. My sister Maria and I want to help you be the change you wish to see in the world.